For this same reason, doing the wrong things in the Google AdSense and other forms of advertisements, whether intentionally or unintentionally, will result in a severe penalty, may get you banned and even have your account terminated. Nothing like a good action taken to keep wrongdoers from doing the same things over again. So for those who are thinking of getting a career in Google AdSense, do not just think of the strategies you will be using to [p2p type=”slug” value=”5-ways-improve-adsense-earnings”]generate more earnings[/p2p]. Consider some things first before you actually get involved. 1.) Hidden texts. Filling your advertisement page with texts too small to read, has the same color as the background and using CSS for the sole purpose of loading them with rich keywords content and copy will earn you a penalty award that is given to those who are hiding links. 2.) Page cloaking. There is a common practice of using browser or bot sniffers to serve the bots of a different page other than the page your visitors will see. Loading a page with a bot that a human user will never see is a definite no-no. This is tricking them to click on something that you want but they may not want to go to. 3.) Multiple submissions. Submitting multiple copies of your domain and pages is another thing to stay away from. 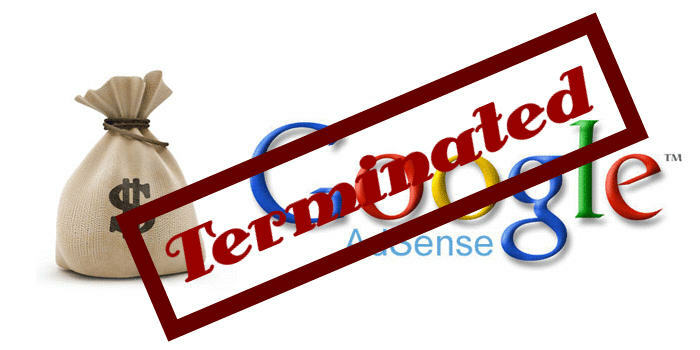 For example, trying to submit a URL of an AdSense as two separate URL’s is the same as inviting trouble and even termination. Likewise, this is a reason to avoid auto submitters for those who are receiving submissions. Better check first if your domain is submitted already a certain search engine before you try to submit to it again. If you see it there, then move on. No point contemplating whether to try and submit there again. 4.) Link farms. Be wary of who and what are you linking your AdSense to. The search engines know that you cannot control your links in. But you can certainly control what you link to. Link farming has always been a rotten apple in the eyes of search engines, especially Google. That is reason enough to try and avoid them. Having a link higher than 100 on a single page will classify you as a link farm so try and not to make them higher than that. 5.) Page rank for sale. If you have been online for quite some time, you will notice that there are some sites selling their PR links or trading them with other sites. If you are doing this, expect a ban anytime in the future. It is okay to sell ads or gain the link. But doing it on direct advertisement of [p2p type=”slug” value=”valuable-google-pagerank”]your page rank[/p2p] is a way to get on search engines bad side. 6.) Doorways. This is similar to cloaking pages. The common practice of a page loaded with choice keyword ads aimed at redirecting visitors to another “user-friendly” page is a big issue among search engines. There are many SEO firms offering this kind of services. Now that you know what they actually are, try to avoid them at all costs. 7.) Multiple domains having the same content. In case you are not aware of it, search engines look at domains IP’s, registry dates and many others. Having multiple domains having the same exact content is not something you can hide from them. The same goes with content multiplied many times on separate pages, sub domains and forwarding multiple domains to the same content. Not to mention avoiding the wrath of the search engines and getting your Google AdSense and site account terminated altogether. Just awesome explanation. Thanks. As i am newbie in blogging so for me its great. Thanks a lot.